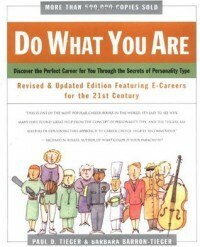 Do What You Are : Discover the Perfect Career for You Through the Secrets of Personality Type - Paul D. Tieger, Barbara Barron-Tieger - review - Welcome to my blog! I saved multiple pages about INTP and INTJ as well as INFJ and INFP as they will definitely come in handy and are so thoroughly written and useful!! Great book for insight and powerful suggestions! !